OIL Search Limited has posted a net profit after tax of US$152.5 million (K375m) for this year’s first half. This is an increase of 34 per cent to last year’s corresponding period. In releasing its results, OSH said the increase in earnings were boosted significantly from the PNG LNG project. The company has 29 per cent equity in the PNG LNG project, which commenced full production in July this year. 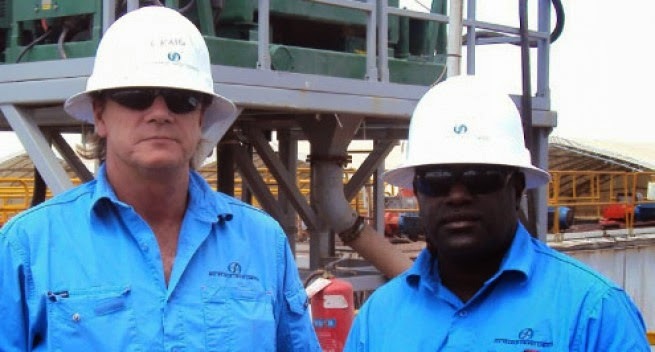 Oil Search stated that its revenue had increased by 34 per cent to US$510 million (K1253m) which, besides the proceeds from PNG LNG, was also driven by continued strong production and a slightly higher realised oil price of US$ 111.5 per barrel, compared to US$108.32 in the first half of 2013. Total oil and gas production rose 68 per cent in the same period of 2013 to 5.4 million barrels of oil equivalent (mmobe), while total sales was 4.7mmobe, including 3mmobe of LNG and condensate from the PNG LNG projects. Oil Search’s managing director Peter Botten described the results as one of the most significant in the company’s 85-year history. “The first half was one of the most significant periods in Oil Search’s history. Major milestones were reached in April when the LNG production from the PNG LNG project left PNG bound for Japan. “The commencement of revenue streams from the PNG LNG signals the start of Oil Search’s corporate transformation. Production in the first half of 2014 was 68 per cent higher than the same period of 2013, while both revenue and profit increased by 34 per cent. “Production is expected to be significantly higher in the second half of the year, now that the PNG LNG project production ramp up phase is complete. Meanwhile, other key highlights included its operating cash flow which rose 19 per cent to US$255.4 million lagging the significantly higher revenue due to the timing of the LNG receipts. It also reported that as at June 30, they had a total liquidity of US$1,067.8 million (K2623m) comprising US$367.8 million in cash.